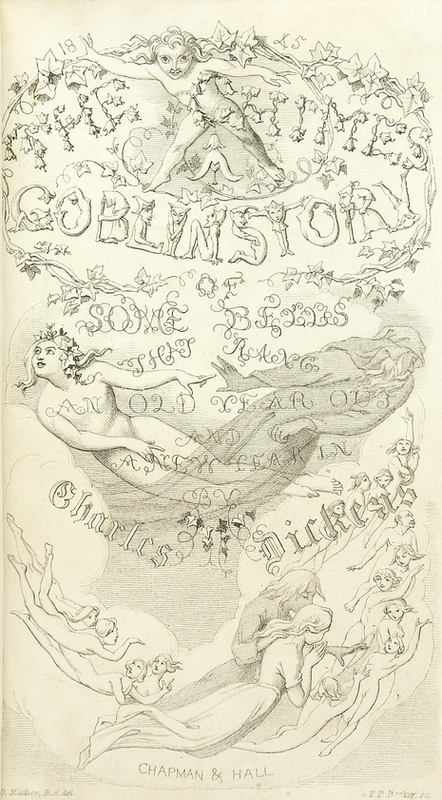 The Chimes: A Goblin Story of Some Bells that Rang an Old Year Out and a New Year In, a short novel by Charles Dickens, was written and published in 1844, one year after A Christmas Carol. It is the second in his series of "Christmas books": five short books with strong social and moral messages that he published during the 1840's. Toby "Trotty" Veck, a poor working man, loses his faith in human nature and comes to believe that he and his fellow poor are naturally "vicious". Then he is afforded a nightmare vision of his loved ones' future after his death. The spirits or goblins in his local church bells show him how anyone, however good, may descend into degradation and ruin if sufficiently driven by circumstances. The chimes teach Trotty that nobody is born wicked, that crime and vice are man-made conditions, and that poor people have the same right to seek improvement and happiness as the rich.